Giant oaks draped with Spanish moss, wrought-iron-clad mansions, lush plantations, vistas of marsh and ocean, and miles and miles of flat, well-kept roadwayall combine to make the coastal lowlands of Georgia and South Carolina one of the best bicycle-touring spots in the nation. Jane and Buddy Kahn guide cyclists through the region's most rewarding land- and cityscapes. Visit Savannah's graceful squares; the mysterious Okefenokee Swamp; the sunny Golden Isles of Georgia; and the Carolina Low Country, rich with history and warm with hospitality. For this new second edition the Kahns have added one bonus tour, for a total of 26. Tours range in length from 6 to 60 miles, offering something for cyclists of all abilities. Each tour includes a detailed map, mile-by-mile directions, and information on natural and historic points of interest you'll see along the way. 3 new tours in this edition. 25 black and white photographs 26 maps. 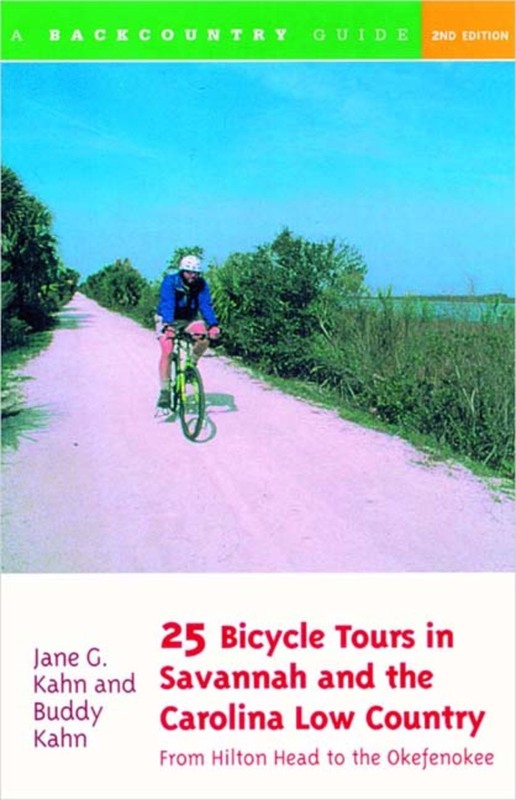 The first edition of this book was titled 25 Bicycle Tours in Coastal Georgia and the Carolina Low Country .